In response to the growing unrest and violence on city streets, it is critical that believers at the local level rise up in prayer and declare the Lordship of Christ over their communities. This is the time for the voice of the Lord to be heard. Rather than waiting to see what our spiritual Adversary is going to do, it’s time we remind him what OUR GOD is doing! We need to remember the authority we have in prayer to change history. We are not helpless victims waiting to be ambushed. We are victors in Christ who can call on heaven to not only intervene, but bring forth the purposes of God. 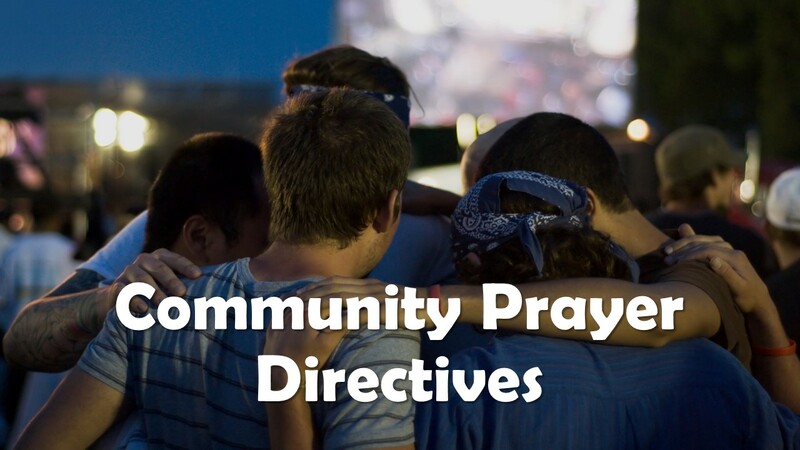 Use the scriptures and prayers below to declare God’s peace and purpose in your own community. Join with others in calling on heaven and changing the course of events through your intercession! We shouldn’t just be reading about the news – we can MAKE the news through our prayers. God will answer as we agree that His will would be accomplished on earth as it is in heaven. Cleansing of any idolatry or double-mindedness: Lord, forgive us for the idols in our land. We confess we have looked to fleshly attractions and entertainment, people of title and fame, and the accumulation of worldly goods instead of You*. Cleanse us for being divided in our hearts and minds and give us an undivided heart that we might serve you wholly and without reserve. Wash us with your Word and give us a new spirit that would cause us to walk in your ways (1 John 2:16; James 1:8; Ezekiel 36:26-27). *Repent of any specific place, person, or thing that has become an idol. The altar of His presence to be established: Lord, establish our city as a dwelling place of your presence, a light in the darkness, and a refuge for the lost. Raise up prayer and worship altars across our region that will continually offer sacrifices of praise and thanksgiving to welcome your rule and reign on this land. Expose and remove any and every idolatrous place of worship that attracts the darkness and render their altars ineffective and powerless. We dedicate ourselves to daily seek Your face and know your heart for the sake of your kingdom (Ezekiel 37:26-28, Isaiah 66:1, Psalm 27:8). The establishment of godly leadership: Father, we ask for godly leadership to be firmly established in our community and for every counterfeit, rebel, and traitor to be removed. We ask that those who have been called and appointed for leadership in this hour to be revealed, acknowledged, and affirmed, rightly positioned and placed in the fields you have assigned them. We speak blessing on every shepherd in our city whose heart is fully yielded to You and ask for an increase of grace and favor in their lives. May every sector in our community be influenced and guided by leaders who are fully aligned with your heart and purposes (Exodus 18:21, Proverbs 16:7, Hebrews 13:7, 2 Timothy 2:15). The wisdom and knowledge of the Lord to be revealed: Lord, give us your wisdom, knowledge, and understanding to reveal and expose the hidden things of darkness to bring them into the light. By Your Spirit, teach us your ways to rightly discern between good and evil that we might walk in truth and integrity. Grow us as your sons and daughters to be ambassadors of your kingdom and representatives of heaven. May we operate in increased wisdom and discernment that would attract nonbelievers and demonstrate the power and authority of your kingdom (Daniel 2:21-22, 1 Corinthians 2:7-10). Father, we declare our community to be under the Lordship of Christ and under the rule of heaven that you might be known and that every knee will bow and every tongue confess that you, alone, are God. In Jesus’ name. Amen. Dear Wanda We want to thank you for all your posts and blogs. This one in particular, has been so helpful. We used it this evening in its entirety as declarations for your nation and our own. We’ll be distributing it around our group/network. We’ve been hosting gatherings of intercession weekly since well before Brexit and have been so delighted to join with God our Father, guided by His Spirit and seeing His miraculous ways and works. We are people who meet in house church. We are a city of refuge, the temple and dwelling place of the Lord and He’s growing us into a House of Prayer. You may remember that Nate stayed with us and we keep in touch with him thro’ FB. We feel one with you and would love it if the Lord made it possible for us to meet one day! We bless and thank you. THANK YOU! How much we need this! God Bless you!